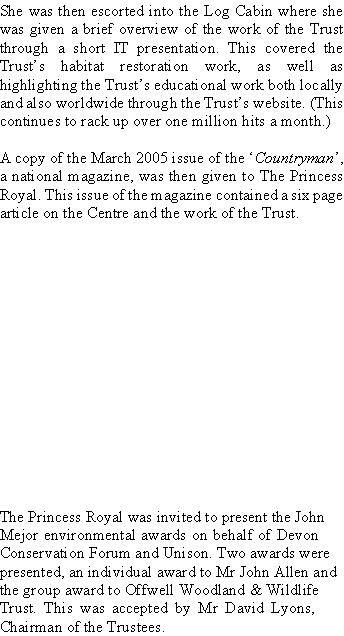 It is well known that the Centre caters for people of all ages and in all walks of life. Now royalty can also be added to the list. 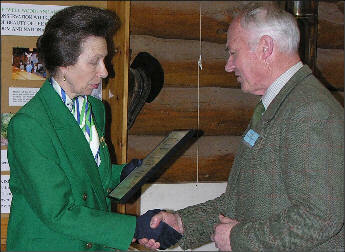 HRH The Princess Royal came to call on the Centre on 11th April. The visit had been on the cards for some months, but had to be kept strictly secret until virtually the last minute, lest it should be cancelled for security reasons. Over the course of her visit to the Centre, The Princess Royal was given a good insight into the conservation and educational work of the Trust. 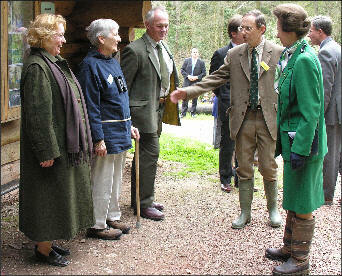 On her arrival at the Centre’s Log Cabin, the charity’s Trustees and a number of local dignitaries and invited guests were presented to HRH The Princess Royal.